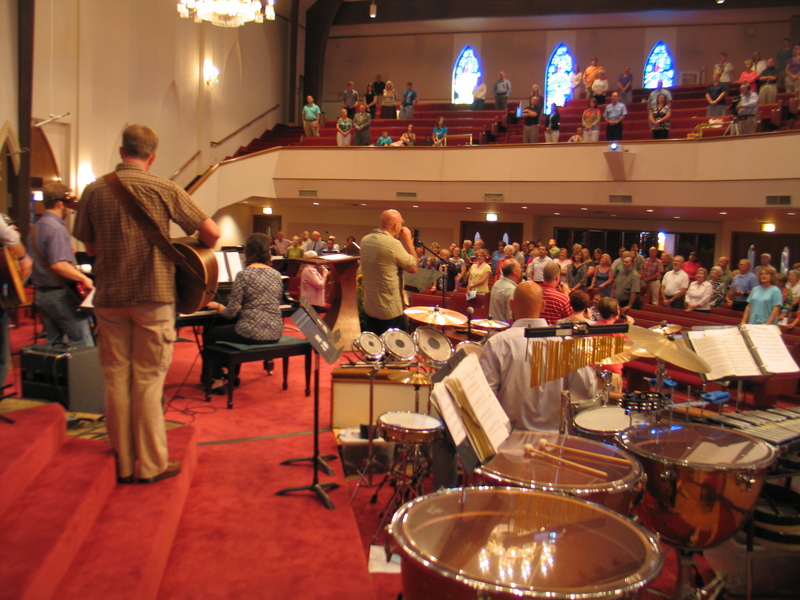 What are worship services like at FBCJC? We offer two unique worship experiences each Sunday. The 8:15 a.m. worship experience is blended service. It includes a mix of hymns and choruses and includes our adult choir and church orchestra. The 10:45 a.m. service is a praise & worship service, led by a Praise Team. Our desire is for worship to be a gift to God where everyone involved comes to a realization that He is our focus. Our Senior Pastor, Doyle Sager, and occasionally others from our staff, offer insightful messages, revealing the truths of the Bible to help prepare and challenge us in our daily walk. Past messages may be heard online here. Dress comfortably. We’re more concerned with meeting your needs than focusing on what you wear. While some people do choose to wear their “Sunday best”, most people wear casual clothing. We only ask that you be modest and appropriate in what you choose to wear to worship.